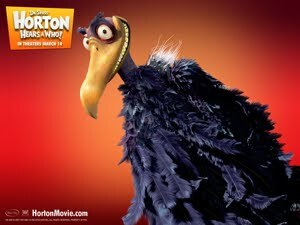 Since Aaron moved/switched blog/joined Pixar I lost track of his posts and missed that one about his work on one of my favourite “Horton” characters: Vlad the vulture. I love it! I just found that old video which will introduce you to some of the cool people I work/worked with. While I am at it. What about an other video about our neighbours, Little Big Planet creators’ Media Molecule? This term I have gone a bit mad and enrolled for 3 classes a week for a total of 7h. I can already see a lot of progress compared to last term. Better composition, better line work, better shading, better proportions, speed. Good thing I didn’t walk out or gave up like other students. 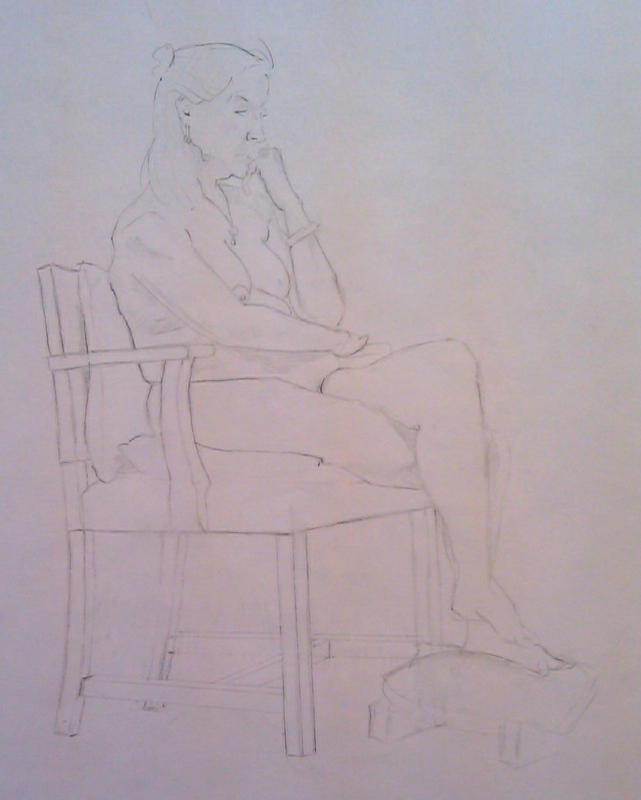 Here is a 2 hours pose. My Thursday tutor keeps telling me that I would be a great forger. That’s not a good thing for him. As artists, we shouldn’t try to copy the model like a camera would. I don’t care much for the moment, being a camera is still a good thing for me until I have mastered anatomy and proportions. This term is very exciting, I am sharing two classes with a lot of very talented concept artists and artists from the Video game industry. That is a lot of competition but at least that pushes us to get better. 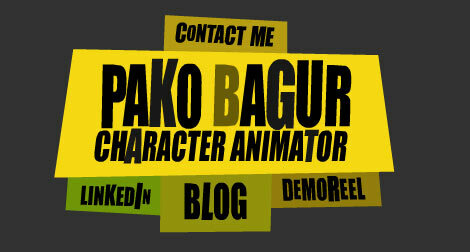 My ex-classmate Pako Bagur just uploaded his work from “Planet 51”. He also redesigned his website which looks really cool! Check it out! So like me you were probably excited by the release of CS5 tomorrow and thought you would be able to quickly develop cross-platform apps using Flash. Well Steve Jobs has decided otherwise. Your “Ifart” clone must be developed using C, C++ and Objective-C said the man in black turtleneck. If you are addicted to animation progress reels. Check that website out. This reminds me that I still haven’t seen “Planet 51” or even bought the “Art of book” yet!!! The Dover Boys is notable for being one of the earliest examples of stylized animation, a technique which used shape-heavy designs with minimal movement, as opposed to the type of animation done at that time by the Walt Disney studio. In addition, the short is among the earliest Schlesinger/Warner Bros. cartoons to utilize “smear” animation, where characters move with sudden bursts of speed depicted with only a frame or two of a smeared image between two extreme poses. Jones would go on to use similar animation techniques in later cartoons he directed starring Bugs Bunny and Daffy Duck. Stylized animation would later be made famous by the artists at startup animation studio UPA, for which Jones moonlighted to direct the political film Hell-Bent for Election in 1944. I have had a very healthy Facebook conversation on animation style with my friend Samy for the past few days and we were trying to define the Animation Mentor style and compare it with other style of animation. Personally I love all animation styles, and Michael Dudok de Wit throughout his work encapsulated the whole range of styles I respond to. From the abstract “The Aroma of tea” to the over the top oscar nominated “The fish and the monk” through the delicate “Father and daughter”. I love all animation style but one style I have a problem with is the “motion capture style”. I am definitely not a big fan of motion capture but what I want to talk about today is something a bit different. You might have come across shots that were so well animated that they looked well … “motion captured”. Shot that were keyframed but looked so real that they looked like they were captured by computers. The motion capture look is perfect when you work in VFX and want to blend the CG animation with “live plates” but it is not so great when you work with cartoony characters. My friend Tomas posted a great animation on his blog sometime ago. A shot that really impressed me for someone who just graduated from Animation school but I felt that something wasn’t quite right. I wasn’t able to tell him what to improve until my ex mentor Kevin Koch, recorded a very enlightening eCritique for my friend Nedy’s February “11 second club” winning entry. What he is suggesting Nedy to get rid of that motion capture feel is to simply push the poses and timing. 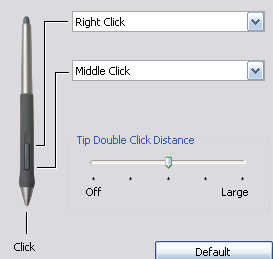 My friend Patrick asked me about my wacom settings but I tend to use my Intuos3 less and less those days I must admit. First it takes a lot of desk space and forces you to move the keyboard way too far back for good typing position, second I suffer from RSI as much with the wacom than with the standard issued Microsoft mouse (as long as you keep your wrist in a natural position and not flat) and third ….. I find it fairly imprecise especially when used with 2 screens so once in a while I drag and drop a folder into an other one by mistake. Yes I could get a widescreen tablet but come on, what is the point of having a nice dark solid oak desk if you can’t see it anymore! Ah and I also have my conspiration theory!!! How safe is it to have a Wacom radio emitter radiating through your hand and forearm all day? Any research on that? !